By seeing the title of the post you will expect me to say the trick to create Multiple Twitter Account with same Email Address. I don't want to disappoint you. I'll tell you on the way to the end of this post. Well, Let me ask you a question. 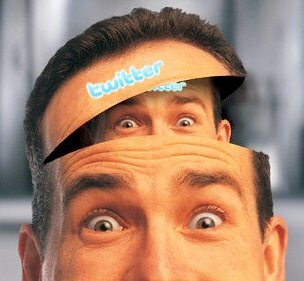 Have you ever came across to the situation to create two or more Twitter Accounts and realized later that one can't create multiple Twitter Accounts with the same Email Address ?. As you have reached this page, I suppose that you've tried to set up multiple twitter accounts with same email address and you don't know how. When I wanted to create one professional twitter account other than my personal account, I tried too. Later I realized that I cannot simply create multiple twitter accounts with the same email address. So, I wanted to share this information here thinking it would help others ( as info) as well as me( as +1 blog post) too. You have a Gmail Account and you are trying to create more than one twitter account with the same Gmail address. When creating a new account on Twitter you are asked to specify the email address where it checks whether the entered email address is already present or not. And when you enter the email address that you have an account with already, you'll be shown an error message. We all have Gmail Addresses and the speciality of the Gmail Address that can be said as an error to Gmail, but a positive trick to us is that Gmail don't care about symbols like dot(.) and plus(+) in the username part i.e:) (username@gmail.com). That is you can use these (dot(. ), plus(+)) symbols anywhere inside your username. For Example, your e-mail id is john1991@gmail.com and you can use it as joh.n1991@gmail.com or like john+1991@gmail.com etc. Whoever and Whatever application that is sending a mail to the latter email addresses will reach to only john1991@gmail.com. Considering Twitter now, when you're trying to create another account with the same email address will result in failure. The Nature of Twitter is that it checks if the email address is registered already. When you try to attempt with including . or + symbols (e.g; jo.hn@gmail.com or joh+n1991@gmail.com), it considers the email addresses as different ones and you can create multiple Twitter accounts with your only Gmail Address. When Twitter sends you a confirmation mail or anything like that, it will reach to your only mail address john1991@gmail.com. And thereby, you can create multiple Twitter Accounts with the same Email Address. i'll give it a shot, thanks man! Does this trick work with Gmail addresses for businesses e.g. johnsmith@companyname.com? 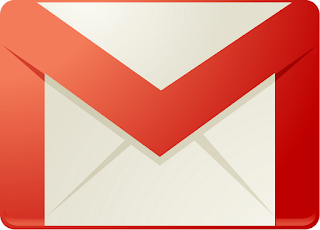 The trick works only for email addresses that end with @gmail.com . Good to know.. thank you.. Thanks for this info, what I need to do now is to change my login email. Thank you, worked like a charm! !